LOCATION.--Lat 43°06'54", long 76°26'21" referenced to North American Datum of 1927, Onondaga County, NY, Hydrologic Unit 04140201, on right bank 700 ft downstream from bridge on Plainville Road, 1.2 mi north of Jack's Reef, and 3.8 mi northeast of Jordan. PERIOD OF RECORD.--April 1996 to current year (gage heights only). GAGE.--Water-stage recorder. Datum of gage is 371.82 ft above NGVD of 1929 and 371.19 above NAVD of 1988. REMARKS.--A large amount of natural storage and some artificial regulation is afforded by many large lakes and the Erie (Barge) Canal system in the river basin. Seneca River basin receives water from Erie (Barge) Canal through Lock 32 near Pittsford. Prior to 1998, a large part of flow from 45.5 mi² of Mud Creek drainage area (Susquehanna River basin) had been diverted into Keuka Lake (Oswego River basin) for power generation. 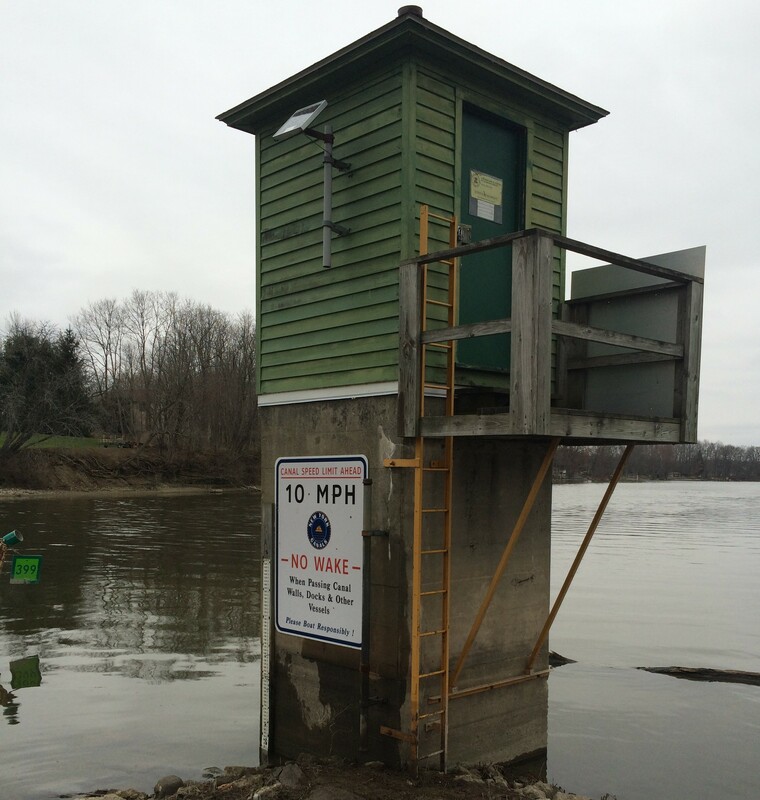 EXTREMES FOR PERIOD OF RECORD.--Maximum gage height, 6.51 ft, Apr. 6, 2005; minimum recorded gage height, 0.02 ft, Jan. 28, 2003 (minimum recordable) but was lower during period of Jan. 28 to Feb. 21, 2003 as a result of regulation.